Bajaj Electricals Limited Group in Maintenance Supervisor and Area Service Job Posts Download Application at www.bajajelectricals.com/ Bajaj Electricals Limited Group has Recently Announced 2018 regarding Maintenance Supervisor& Various Job Openings Interested and Eligible Candidates can Download Application Through Official website. Bajaj Electricals Group Walk-in Drive 2018 || Kozhikode - Apply Now. Income: INR 1,50,000 - 3,25,000 P.A. 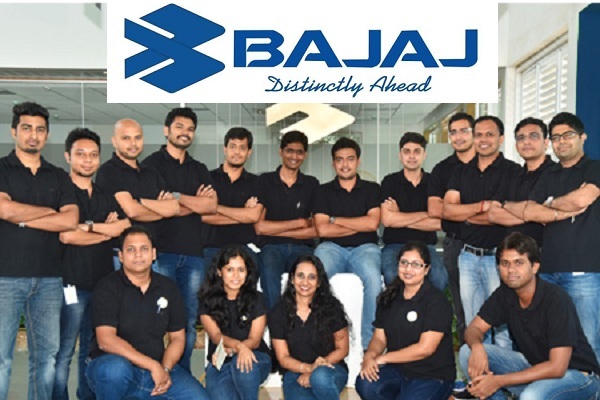 Bajaj Electricals Limited (BEL), a 77 year old trusted company with a turnover of Rs. 4430 crores, is a part of the US $ 9 billion (over Rs 36,000 crores) 'Bajaj Group'. The revenue earning departments of BEL has four segments Ã¢â‚¬" Consumer Durables (2058 Cr) Lighting (913 Cr), EPC (1428 Cr) (Engineering &amp; Projects), &amp; Exports (31 Cr). These segments are supported by business units - Consumer Durables Ã¢â‚¬" Fans, Domestic Appliances, Kitchen Appliances, &amp; Morphy Richards; Lighting Ã¢â‚¬" Domestic Lighting, &amp; Luminaires; EPC Ã¢â‚¬" Transmission line Tower, Power Distribution &amp; Illumination EPC. With 21 branch offices spread across India we are supported by a chain of about 2200 distributors, 4100 authorized dealers, over 4,00,000 retail outlets and over 250 Customer Care centers. Responsible for maintain service centers in assigned territory.